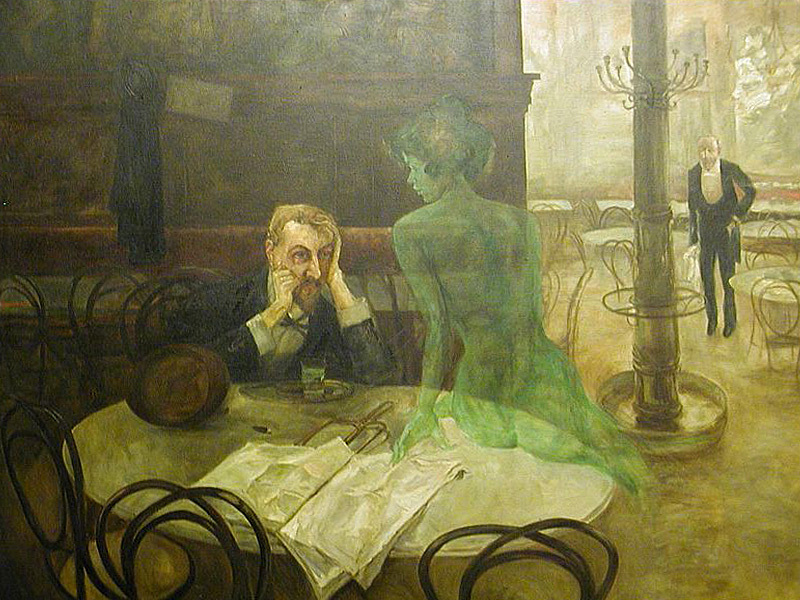 Absinthe, the mysterious green beverage beloved of turn-of-the-last-century artists, has long had a reputation for causing dangerous madness. Van Gogh’s ear-cutting episode was reputedly brought on by a bad absinthe trip. It was banned in Europe in the early 20th c. due to this Reefer Madness panic. The ban was finally lifted in 1988, but even so the myth of the pre-ban “original” absinthe’s mind-bending characteristics has persistent. German scientists have examined the contents of sealed pre-1915 absinthe bottles to see just what exactly makes the green fairy tick. Turns out, it’s just green anise-flavored moonshine. German researchers worked with US and British colleagues to test the level of thujon in 100-year-old bottles of absinthe. Thujon, a chemical found in wormwood, was the substance blamed for causing psychotic episodes. 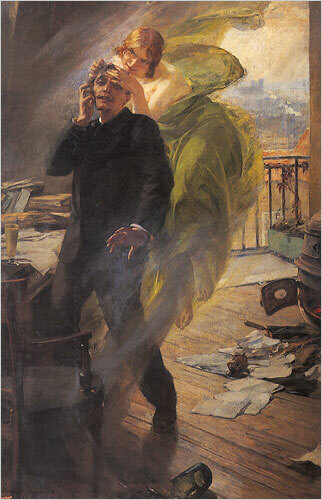 The research found that absinthe contained only minimal levels of thujon and that the psychoactive effects were also questionable. It was 140-proof, though, so no need to look further than the hooch factor to explain people acting the fool under the influence. Especially when you consider that absinthe tastes like licorice and is often served over a sugar cube. That sweet stuff really sneaks up on you.